We believe in the extraordinary capacity of children to learn and reach their maximum potential in an educational institution that strives for excellence, is staffed with experienced teachers dedicated to education specialized in their respective fields, and implements a broad and sequential plan of study that emphasizes the development of critical analytical skills. Balboa Academy serves a culturally diverse population. We are sensitive to and interested in the needs of students. Our school provides a U.S. type education that strives for excellence. We implement a broad and sequential plan of study that emphasizes the development of students into productive and happy citizens in a global community. Envisioned as a learning laboratory, Balboa Academy strives for everyone (students, teachers, staff, parents, and other school personnel) to engage in activities that will make them life-long learners. 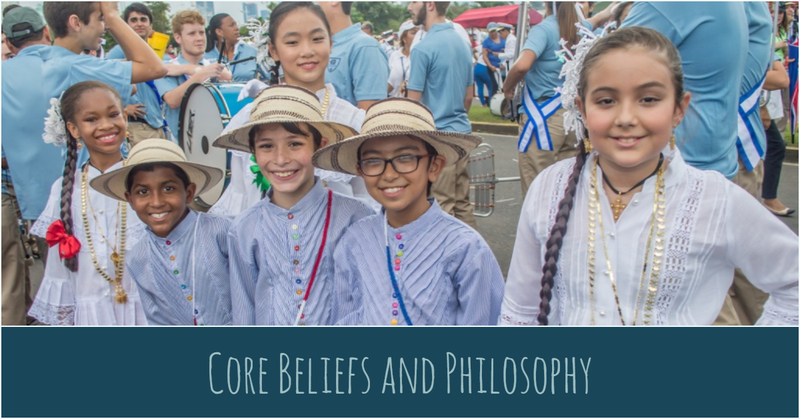 Balboa Academy houses a family of people working together closely, caring for each other’s well-being, and encouraging continuous intellectual growth for all. Schooling or training opportunities exist for everyone. We believe specialized, experienced, dedicated, and caring educators best serve the community by continually perfecting their teaching skills and striving for excellence in their classroom practices. Educators are motivated to keep informed of contemporary research in education and encouraged to use modern methods of instruction, along with high expectations and individualization of instruction in their teaching. Teachers collaborate to design, plan, and discuss effective instructional strategies and practices. Parent participation in the schooling process is important. Educators ensure that parents are kept abreast of their child (ren)’s school progress through frequent and varied types of school-home communication. When needed, parents are provided in-service training to better inform them about the curriculum and program. Staff and school personnel have an important role in the schooling process at Balboa Academy. Their well-being and career growth is also viewed as a high priority. Special consideration is given to make them part of our school family by trying to include them when appropriate in school events, celebrations, faculty meetings and staff development activities. They are encouraged to partake in training activities to help them grow in their specific career areas. We believe learning should be a life-long endeavor. Young students need positive and successful experiences to evolve into productive and content citizens of a global community. As such, they should be knowledgeable in six skill areas: communication, math, technology, science, social/teamwork, and research; practice good health habits and participate in physical education and sports; be exposed to the fine arts, and engage in activities that help develop civic and moral values.